All of these incidents are escalating in Israel. But the media is ignoring it. Anti-Israel hatred in the U.S.
For example, under President Obama, his administration repeatedly attempted to undermine Prime Minister Benjamin Netanyahu and the Jewish State, a close ally of the U.S.
His last act against Israel while in office was to have the U.S. abstain from an important UN vote condemning new Israeli settlements in the West Bank and East Jerusalem as illegal. By abstaining, it allowed the resolution to pass. And radical Islam festers like an open wound in the Middle East, targeting Israel in an attempt to drive out all Jews – and Christians — from the Middle East. Plus, the UN remains hostile towards the Jewish State. The UN continues its resolutions calling for Israel to withdraw from territories occupied since 1967, based on their ill-fated land-for-peace premise. It happened again when the UN condemned the building of Jewish settlements. What the UN and Obama were basically saying was that any Jewish community outside the “pre-1967 borders” is occupied Palestinian territory. These resolutions embolden Israel’s enemies. The anti-Israel and anti-Jewish “call to arms” is not strictly reserved for the Middle East. Recently, Egyptian-born American Preacher Ammar Shahin gave a sermon at the Islamic center of Davis, Calif., inciting Muslims to annihilate Jews. Shahin cited Islamic text that calls for a Judgement Day fight between Muslims and Jews, whether it is in Israel or elsewhere. “The Prophet Muhammad said: Judgement Day will not come until the Muslims fight the Jews, and the Jews hide behind stones and trees, and the stones and trees say: Oh Muslim, oh servant of Allah … They will not say: Oh, Egyptian, oh Palestinian, oh Jordanian, oh Syrian, oh Afghan, oh Pakistani. Surprisingly, the ICD stood behind Shahin and his sermon, noting on its website that his talk was taken out of context. Nonsense. 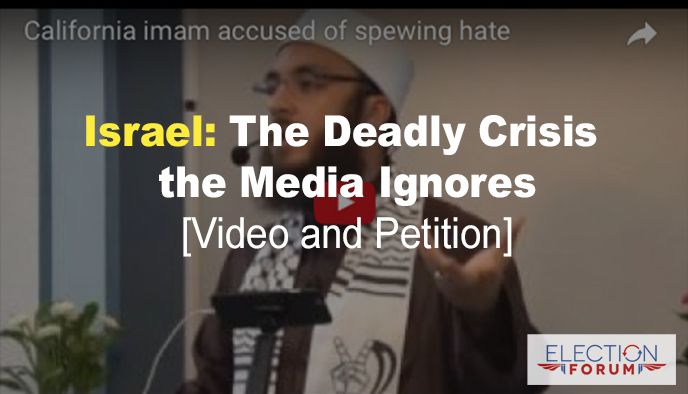 Watch this hate-filled 2 minute-video of Shahin calling for the death of Jews. This is the kind of unbridled incitement to killing Jews that is regularly taking place in Gaza, the West Bank, Iran, Saudi Arabia, and many mosques the world over. Sadly, this kind of rabid anti-Semitism is standard fare in nations with large Muslim populations. The call for the destruction of Jews the world over should be condemned by every nation. Meanwhile, you can help. Pray for the peace of Jerusalem. 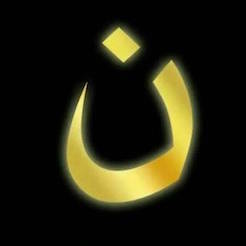 And please sign the petition for Congress to pass the Save the Christians From Genocide Act (H.R. 565) by clicking here. If you need to print copies for friends to sign, click here. Click here to donate $10 to help save a Christian’s life.